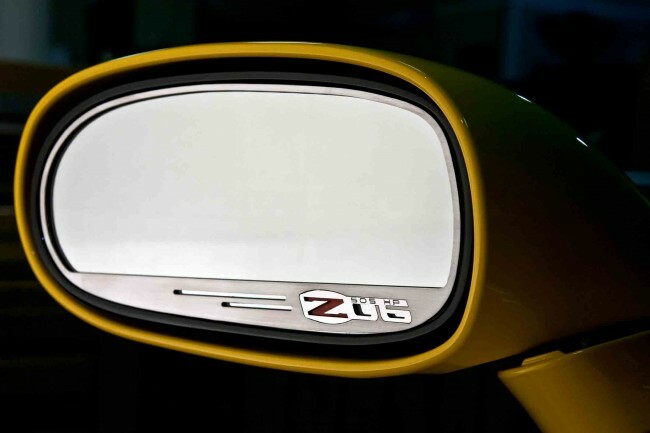 Dress up your Corvette with our Brushed - Stainless Steel, Side View Mirror trim with Z06 505hp logo. These trim pieces are designed to fit with in the outer frame of the side view mirror and add a clean stylish look to your Corvette exterior. Fits all 2006-2013 C6 Z06 Corvettes with standard, non auto-dim mirrors.